Information required to give accurate vehicle pricing and dealer location. Find the drive-away price of New, Ex-Demonstrator and Approved Used vehicle stock from the Australian Retailer Network. Models shown will be based on the affordability price entered earlier. This website is operated by JLRA as agent for, and on behalf of, your selected dealer. The contact details and registered address of your selected dealer are available through the following dealer locator links for Jaguar or Land Rover. 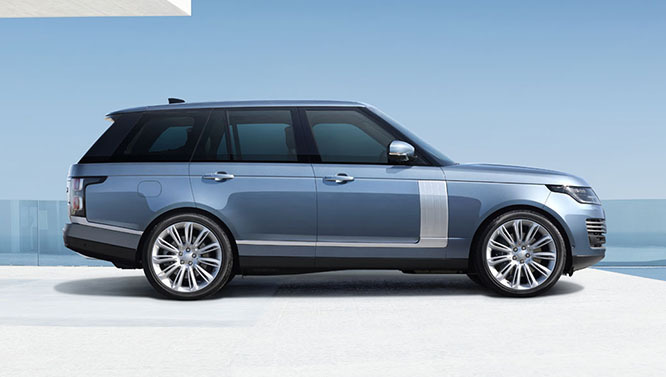 You have elected to pay a holding deposit in the sum of AUD$1,000 (holding deposit) in respect of the vehicle you have selected from your selected authorised Jaguar or Land Rover dealer using this website. 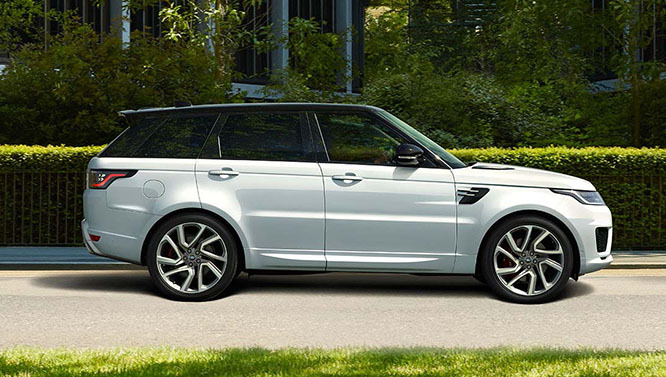 That holding deposit is payable by you to your selected authorised Jaguar or Land Rover dealer, via the payment mechanism provided on this website. 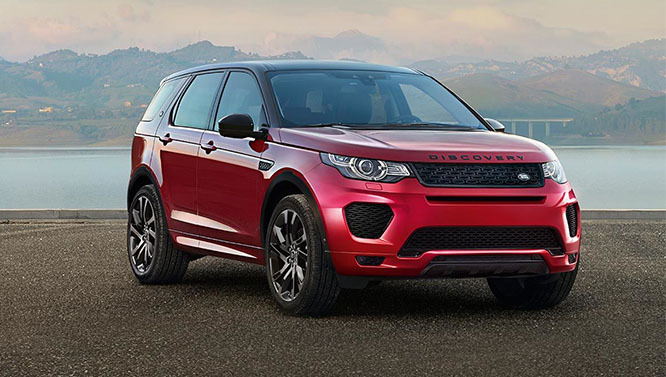 In the event that you wish to purchase your selected vehicle after you have paid a holding deposit, your selected authorised Jaguar or Land Rover dealer would reduce the final agreed purchase price for the vehicle by the amount of the holding deposit, being $1,000. All holding deposits and related transactions will be processed in AUD. Vehicle availability is based on dealer stock recorded in the dealer electronic inventory system, as periodically communicated from that system to the website. 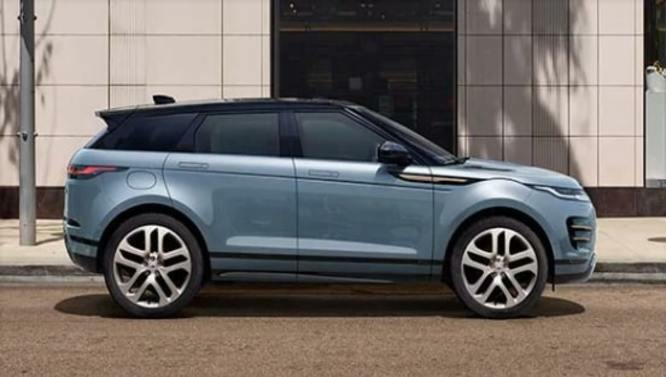 Vehicle availability as shown on the website may differ from actual dealer stock available from your selected authorised Jaguar or Land Rover dealer due to errors in the dealer electronic inventory system or delays in communications of that data to the website. Your selected authorised Jaguar or Land Rover dealer will take steps to secure the vehicle as soon as possible after completion of your request to hold your selected vehicle and receipt of your holding deposit. 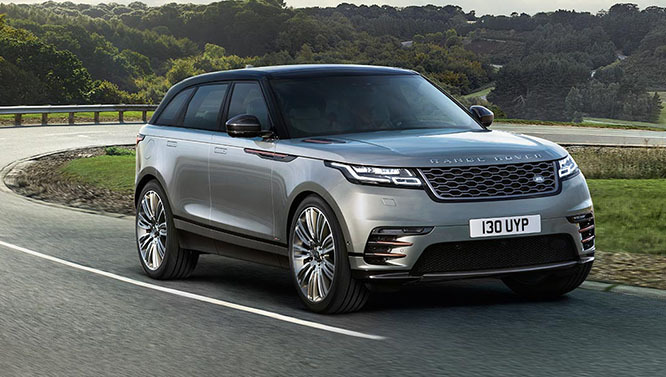 However, vehicle availability is not guaranteed until you receive confirmation from your selected authorised Jaguar or Land Rover dealer in accordance with clause 3.3(a) above. 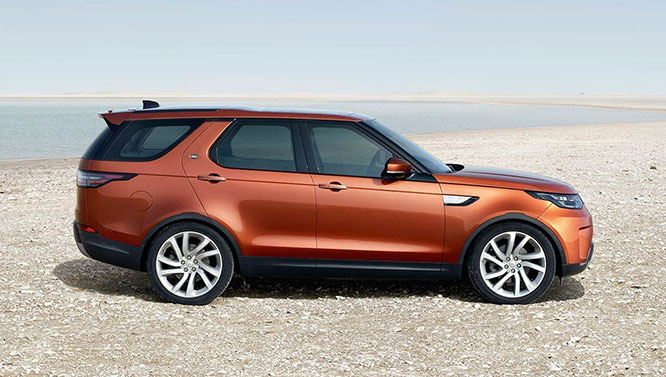 In the event that you have paid a holding deposit but your selected vehicle is no longer available for sale from your selected authorised Jaguar or Land Rover dealer, your selected authorised Jaguar or Land Rover dealer will notify you as soon as practicable and arrange for the holding deposit to be refunded in full. In the event that you do not wish to purchase the vehicle for which you have paid a holding deposit, you must notify your selected authorised Jaguar or Land Rover dealer. On receipt of such notification, your selected authorised Jaguar or Land Rover dealer will arrange for the holding deposit to be refunded in full. These terms apply only to the holding of your selected vehicle by your selected authorised Jaguar or Land Rover dealer for a period of 48 hours from the time of payment by you of the holding deposit. They are separate to, and do not apply to or form part of, any subsequent purchase of the selected, or any other, vehicle from your selected authorised Jaguar or Land Rover dealer. In the event that you proceed to purchase the vehicle the subject of the holding deposit, separate terms and conditions of sale shall apply to such purchase and will be advised to you at the time of purchase by your authorised Jaguar or Land Rover dealer. Due to the international nature of JLRA's business, JLRA is likely to disclose personal information about you to overseas recipients who are likely to be located in the United Kingdom and the United States of America. In the answers to the following FAQs below, we set out important information about JLRA's management of personal information. 1. What are the benefits to me of JLRA collecting my information through the website? 2. What kinds of personal information does JLRA collect and hold? 3. How JLRA collects and stores your personal information? 4. For how long will JLRA store personal information? 5. Who does JLRA disclose personal information to? 6. What are the purposes for which JLRA collects, holds, uses and discloses your personal information? 7. How do I access and correct information about myself or make a complaint about privacy? 8. What about Internet & site security? 9. What happens if I choose not to provide personal information? 1. WHAT ARE THE BENEFITS TO ME OF JLRA COLLECTING MY PERSONAL INFORMATION THROUGH THE SITES? (a) To make the Sites easier for you to use by not having to enter information more than once. (b) Help us to provide information faster. (c) To help us create content more relevant to you. (d) To help you quickly find services or information available from JLRA. (e) Using information to make improvements to the Sites. (f) Assessing general trends within the Sites and their use. (g) To alert you to new products, special promotions, updated information and other new services that JLRA considers to be of interest to you. (h) To display relevant product, promotion and service information based on your previous browsing activities within the Sites. (i) To help you to store your favourite media (wallpapers, video, audio), configured cars and preferred dealer information within Sites for your future reference. 2. WHAT KINDS OF PERSONAL INFORMATION JLRA COLLECTS AND HOLDS? We may collect and hold personal information about you including your name, age, address, telephone number, email address, current vehicle information, information about the motor vehicle dealership from which you purchased the vehicle, service history and your contact preferences. In general, you can visit JLRA on the Web without telling us who you are or revealing any information about yourself. There are times, however, when we may need to collect and hold personal information from you, such as your name and address. We will let you know before we collect personally identifiable information from you on the Internet. To improve the services we provide we will also collect anonymous information about the referring website (for example Google search) or the referring banner which led you to JLRA's websites. JLRA collects personal information about individuals in a number of ways. The principal way is that we collect personal information of individuals who purchase our Jaguar and Land Rover vehicles from the dealerships that distribute those vehicles. Additionally, this Site collects personal information about you in a number of ways, such as requesting it from you in regards to a test drive request form, brochure request form or subscribing to future information from us. (a) individuals employed by our service providers, suppliers and distributors (including motor vehicle dealerships, business managers and other staff of the dealerships that distribute our products). (b) job applicants who have applied for jobs with us, including information disclosed to us by employment agencies. (c) attendees of events sponsored/arranged by JLRA who have provided personal information in the course of such events. Personal information that we collect is held in a secure environment protected by a combination of physical and technical measures. There is no general public access to this information. 5. WHO DOES JLRA DISCLOSE YOUR PERSONAL INFORMATION TO? (a) our business partners, including service providers, such as mail houses, website and IT service providers and roadside assistance providers, who assist us in providing products and services and information about the products and services of us and our business partners to you and to our business partners. (b) market research companies in connection with industry market research that they conduct for us. (c) other members of the Jaguar Land Rover Group of companies. (1) help us improve our services to you; we want to make it easier to tailor our products and services to your particular needs. (4) send you direct marketing communications about JLRA's products and services or related products and services of JLRA's related bodies corporate or its business partners. If you wish to opt out of future direct marketing communications you can contact the JLRA Privacy Officer on the details provided in paragraph 7. (8) develop relationships with our distributors and suppliers. JLRA will take such steps (if any) as are reasonable in the circumstances to ensure that the personal information we collect is accurate, complete and up-to-date. Where appropriate, you will also be given the option of cancelling your membership of the service you have subscribed to. If you would like to make a complaint about a breach of the Australian Privacy Principles, please contact us with details of your concerns and your contact details, and we will respond to your complaint within a reasonable period of time. You can do this by contacting our Privacy Officer on the contact details set out above. We may contact you in response to clarify your concerns and work through your questions together. If you are not happy with our response, you can lodge a complaint with the Australian Information Commissioner (www.oaic.gov.au). The Internet is not a secure system and you should always be cautious about the information you disclose whilst on-line. JLRA will take such steps as are reasonable in the circumstances to protect personal information from misuse, interference and loss and unauthorised access, modification or disclosure. Personal Information collected JLRA through the Sites is stored in secure operating environments that are not available to the public. In some cases, the personal information is encrypted before you conduct your transaction, using appropriate secure technology. If you choose not to provide personal information, we may not be able to deal with or respond to your request or query. You will in most cases still be able to use most of the Sites. However you will not be able to access areas that require the submission of personal information or receive the products or services that require this information. Even if you do not submit personal information we will sometimes collect anonymous information about how you have used the Site. This is information that does not personally identify you but which may be helpful for marketing or improving the services we offer.